So you've taken the plunge on Neil Young's sweet little Pono player, however it uses a unique way to export those tunes to your balanced headphones or balanced rig. I'll be covering how I built an unbalanced cable, and how to build a balanced pair of cables so you can extract every juicy detail from those Hi Res tracks. As you may know, Zynsonix Audio offers these in any length or configuration, so reach out if you need one. 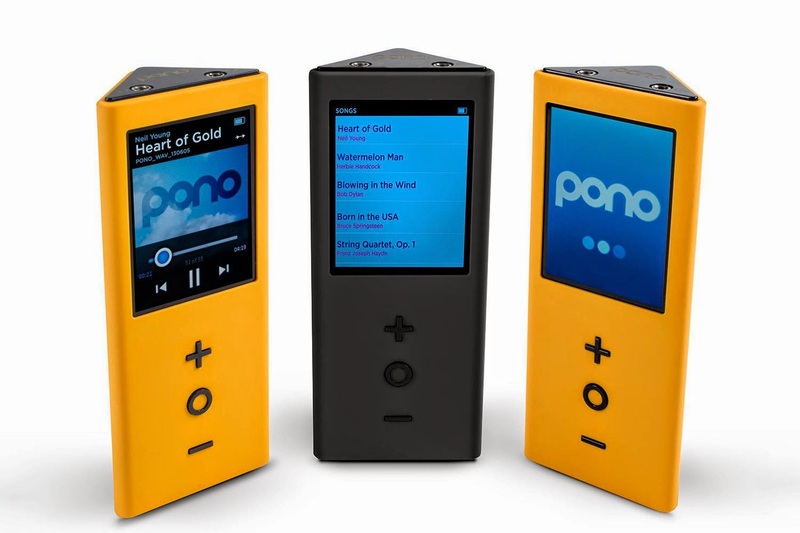 The Pono player features dual stereo 3.5mm outputs. You can use these to output to a pair of balanced headphones, a balanced rig that uses 3 pin XLRs (or mini XLRs / TRS plugs), or a single ended rig that takes good-old-fashioned RCAs. Stereo 3.5mm connectors have three connections, the sleeve, the ring and the tip. When used in typical applications, the sleeve is a shared ground, the ring is the right signal, and the tip is the left signal. However not the case with the Pono in balanced mode. 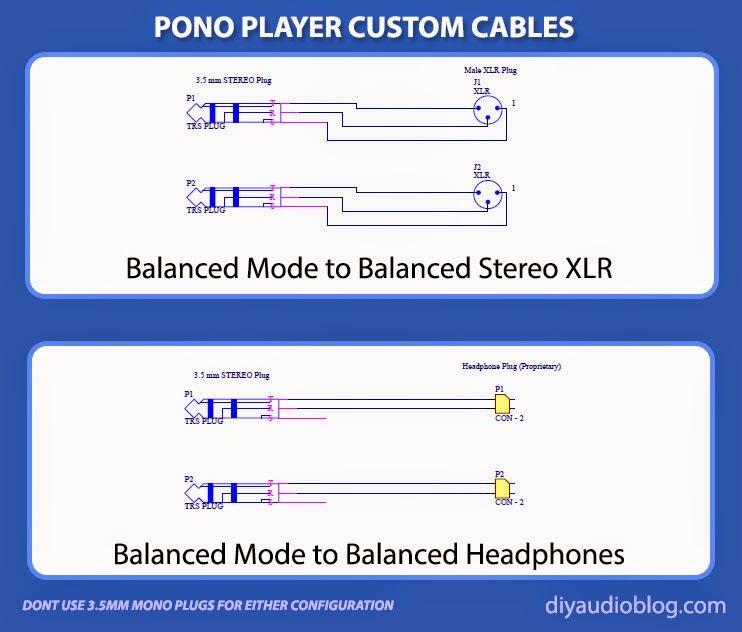 In the case of the Pono player in balanced mode, each of the two 3.5mm goes to an individual three pin XLR. The Sleeve, as you'll note below, connects to the Pin 1 (ground). The Ring connects to Pin 3 (negative). The Tip connects to Pin 2 (positive). 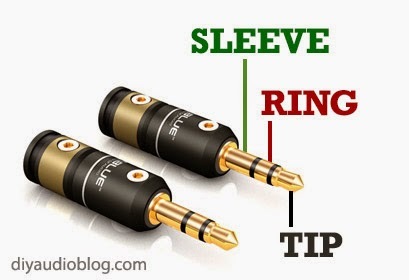 For a balanced headphone cable, you will note that the Sleeve connection is not used, only the tip (positive) and the ring (negative). These schematics are straight from the engineers over at Ayre Acoustics. If I'm not mistaken, this is going to be the portable standard for balanced connections including on upcoming models from Sony. 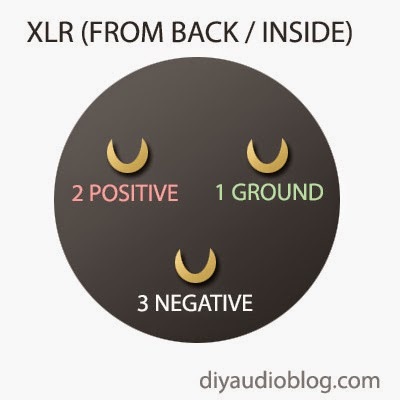 I made a handy dandy visual for the back of an XLR connector (note mini XLRs are different!) so you can see the pin assignments. Below you'll see the pair of 3.5mm stereo mini to XLR cables using the great sounding Zynsonix Trebuchet 99.99997% pure ohno cast copper. The Viablue XLRs are very sleek looking, well made and use set screws rather than a traditional boot or crimp sleeve. The Amphenol mini connectors are my new favorite value connector, they offer a great connection and a recessed area near the barrel that allow them to be used with phone cases and portable DAPs with cramped faceplates. All done and we have a pretty pair of Trebuchet interconnects for your Pono player. Off they go to a happy customer. I hope you enjoyed this post on building a pair of interconnects for a Pono Player. 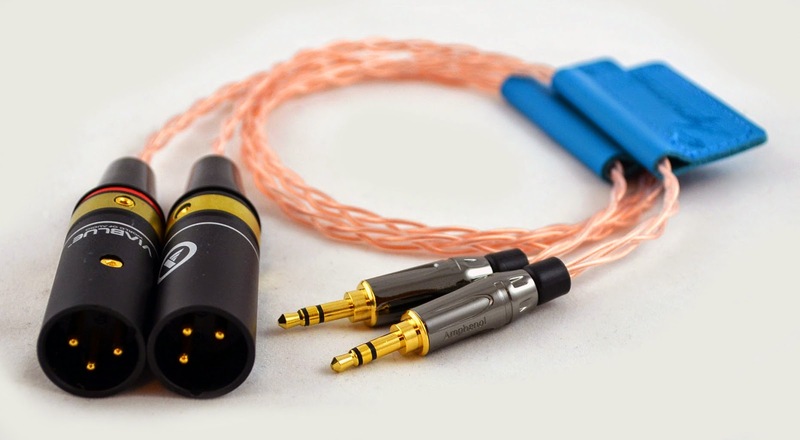 Please reach out to Zynsonix Audio if you'd like your own custom Pono interconnects (balanced or single ended) or headphone cable, and keep enjoying those high res tracks! The above steps detailing the build of a Pono player cable are for entertainment purposes only, and not intended to be used as assembly instructions. The owner of this blog and all associated parties can not / will not be held responsible if you attempt the process posted and cause physical harm to yourself, your surroundings or your property.